Auto Repair in Mint Hill – How Does Ethanol Affect My Engine? In recent years the EPA approved the use of E15 to be used in newer vehicles. So many gas stations carry up to 10% ethanol in their tanks these days, gas stations without ethanol advertise it! The current standard E10 obviously has a lower ethanol content than E15 and there are concerns that the ethanol contained in these blended fuels are damaging car engines, especially on older model vehicles that were not made to accommodate these newer fuels. What is Ethanol or E10/E15? E10 is an ethanol blend containing 10% ethanol and E15 contains 15%. As automobile manufacturers are pressured to increase fuel efficiency and cut emissions these fuels are playing are bigger role in helping them meet these standards. Is it safe to use these fuels? Newer cars are supposed to be designed for it, however as of 2013, GM and Ford were the only car companies who officially approved it for “new” cars. if you are driving a vehicle made pre early 2000’s is could be a problem. You can always check the pump where you fill your tank as they are required to post whether or not the fuel you are buying is blended and what content of ethanol may be present in the fuel. In some areas of the country it is probably impossible to buy gas without some ethanol content and if you do have an older vehicle it most certainly could have an impact on the engine performance and longevity. Performing routine car maintenance is meant to prolong the life of your vehicle and hopefully avoid major problems that can leave you stuck on the side of the road. Setting up a schedule with a reputable auto repair facility can take the headache out of remembering when to do what and keep you on track. If you have concerns about preventative maintenance, don’t hesitate to stop by and have Ken take a look at it. If you are looking for top quality auto repair in Mint Hill or South Charlotte area, please stop by Manchester Auto and Tire of Mint Hill, LLC or give us a call at 704-545-4597. Auto Repair Mint Hill; Counterfeit Airbags, are you at risk? Many of you have are probably aware that recently there was a major arrest in the Charlotte area of several individuals dealing in Counterfeit Airbags. Potentially hundreds or thousands of car owners could be the victim of this crime if they had airbags replaced within the last 3 years. These air bags will need to be replaced as there is no way to ensure they will function properly in the event of an accident. This is an unfortunate situation and the cost will most likely have to be absorbed by the consumer. If you were involved in an accident and had the airbags replaced at the dealer, it is unlikely that your air bag is counterfeit. However, in recent years many dealers have closed their body shop operations and outsource this work to independent shops. If you had the repairs performed at an independent facility there is a risk that the airbag you had replaced could be counterfeit. If you have any concerns take your car back to the body shop who performed the repairs or bring it in to us for an inspection. As the seasons change so do driving conditions. Here in North Carolina we can experience ice and snow and if you are not experienced with these conditions it can make for treacherous driving. There are other concerns as well that impact your car when the temperature drops like coolant levels, heating systems, tires, tire pressure and the like. Poor vehicle maintenance is responsible for 5% of road accidents according to the Car Care Council which can cause many drivers to have to turn around and return home or to the shop due to car trouble. And the cost of not performing a winter maintenance check can go beyond the cost of the actual repairs or maintenance, for instance if you have to have your car towed back to the shop or get a rental to get you by until your car is repaired, it adds to the cost. If you are taking a road trip to visit family for the holidays, make sure you are well rested and plan for breaks along the way. Make sure your car is up to date with all its required maintenance, this should reduce the chance of a breakdown. If you are getting ready to take an extended trip for the holidays and bring your car in for a routine service, tell Ken so he can make sure the technicians perform a thorough trip check before you go. Auto Repair Mint Hill, the benefits of proper tire pressure. Auto Repair Mint Hill, the benefits of proper tire pressure. Making sure your tires have the proper tire pressure is free, easy and saves you money in the long run. Replacing your tires can be a huge expense so it makes sense to take the necessary steps to make your tires last as long as possible and improve your fuel economy to boot. First of all you need to know what your tire pressure should be. Tire pressure can vary depending on the car and the tire. Your owners manual should tell you the proper inflation number however, that information can also be found on the inside of the driver’s door, the glove box or inside your gas flap. Once you are armed with this information all you need is a good tire pressure gauge to check your tires. Ideally you should check your tire’s pressure when the tires are cold, either in the AM or after it has been sitting for a while. Some reasons your tires may be under inflated could be they where not properly filled to begin with, you may have a slow leak in your tire or leaky valve stems and you they do lose air on their own with use. When tires are under inflated it lowers fuel efficiency and cause tires to wear improperly. Under inflated tires can also overheat and cause a blowout. This is the main reason that newer cars are equipped with a Tire Pressure Monitor Sensor device. This sensor will come on if you tires loose air below a certain pressure and is one light on your dash that you should not ignore. Over inflating tires can cause problems as well. Tires that are over inflated tend to wear in the center and can overheat as well. Rotate and balance your tires regularly. Most manufacturers recommend between 5,000 and 10,000 miles. Your owner’s manual is a good reference if you are not sure or you can always check wit h the shop. Our shop routinely rotates tires and checks tire pressure whenever we perform an oil change which for most people is every 5,000 miles. A tire balance check can be performed or a nominal fee as well. 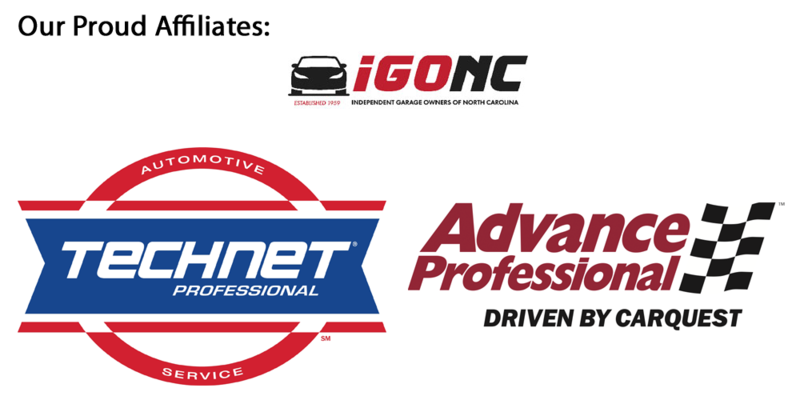 Auto Repair in Mint Hill – Is Your Vehicle Flood Damaged? Whenever there is a natural disaster that involves flooding like a hurricane, a flood of used vehicles (no pun intended) that have experienced flood damage enter into the used car pool. While many of these vehicles should have gone to the junk yard, many individuals will fix them up and put them right back on the road and try to pass them off as a good used car. While checking the CARFAX will tell you if the vehicle was totaled in an insurance claim and the type of damage that occurred, if the vehicle did not have comprehensive collision coverage then there is probably no record of the damage. What is a consumer to do when shopping for a used car to make sure it does not have flood damage? Check the door panels for fading or stains, again if they are new or look like they have been replaced recently, that could indicate a problem. Do you detect any unusual stains, odors or mold? Look under the dash, around the alternator and wiring system for dirt, grit, corrosion and residue. Look under the seats, dash anywhere that metal has not been painted for rust and stains. Also check screws for rust. There are many other things technicians look for both under the hood and chassis, but his is a short list of obvious items that should send up a red flag if you see them on a car at the used car lot. Buying a used vehicle can be a daunting task and sometimes leave you uncertain if you made the right decision. 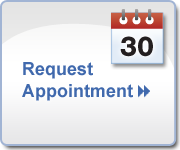 Making an appointment to bring in that used car for a pre-purchase inspection can take the headache and anxiety out of the process. If you have concerns about any potential used car you would like to buy, don’t hesitate to stop by. If you are looking for top quality auto repair in Mint Hill or South Charlotte area, please stop by Manchester Auto and Tire of Mint Hill or give us a call at 704-545-4597. Auto Repair Mint Hill; Preventative Maintenance. Time, Mileage or Condition which do you observe to maintain your car? Some vehicle owners go by the owner’s manual, some the shop’s recommendation where they have their car serviced. Which one is right for you? The answer depends on how you drive your vehicle in conjunction with what the the manufacturer recommends. However, listed below are some guidelines that apply to the average driver and their car, no matter what make or model. Oil Change Service: This is by far the most cost effective service that has the biggest impact on prolonging the life of your car. It is better to do this sooner than later. Some vehicle manufacturers indicate you can go 5K-10K or more in between services. The truth is with today’s technology the oil may last that long but it is likely the filter will not. The filter is a vital component in making sure the oil that circulates through the engine is gunk and particle free. In addition to that most drivers today are bad at remembering to perform this vital service in the first place, so that means that 5K interval in reality turns into 6k or 7k before you actually get it done. To be on the safe side having your oil changed every 3,000 miles or 3 months is not a bad routine, especially if you drive your vehicle hard with lots of stopping and going are in an extremely hot or cold climate, tow a trailer etc. If you follow this rule of thumb and go over, you most likely will have your vehicle serviced long before the 5,000 mile interval. This is our shop’s standard recommendation for most vehicles. Transmission Fluid Change: This service too depends on what the manufacturer recommends and can vary based on the make and model. Now days it is a cost effective measure to have your fluid tested first to determine if the service is actually needed. Coolant Change: Under most driving conditions coolant can last for a long time. However it does not hurt to check it at the change of seasons since a variety of things can impact the condition and quality of the coolant. If there is a deviation from the manufacturer’s specification in the coolant condition it can be easily corrected. Brake Fluid Change: Two different tests can be performed to determine the quality of your brake fluid. One involves using an electrode to test the fluid, the other involves heat. Either one of these methods is effective to determine the quality of the fluid and whether or not it needs to be changed. Power Steering Fluid Change: This is the easiest fluid to test and can be done with a coffee filter. If debris is left behind in the filter it is time for a change. The baseline for changing this fluid is usually 50,000 miles but you can test it more regularly if you feel it is necessary.